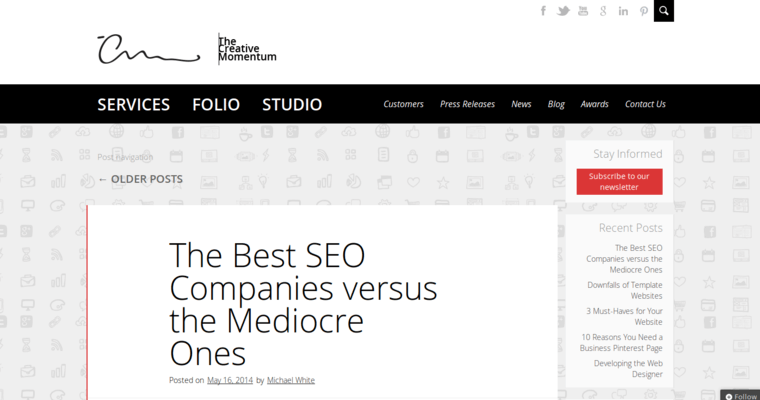 The Creative Momentum takes a, well, creative approach to helping companies achieve their best when it comes to online visibility and lead generation. 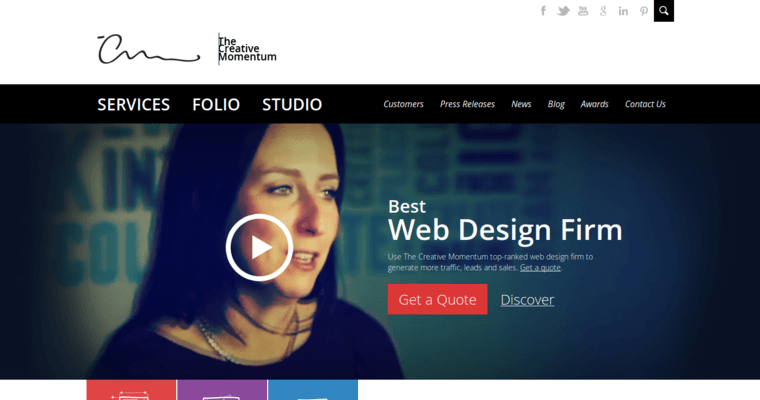 The Creative Momentum is a full-service website design firm that takes a five-phase approach to finding the most high-performing digital solutions for its clients. 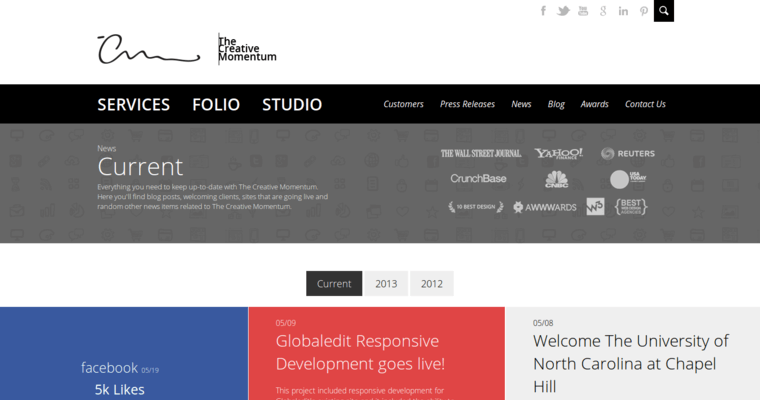 The five phases that the marketers, designers, and developers at The Creative Momentum takes are: meeting with clients, planning out a new project, design and development, testing the new creative product, and launching the final product. The first phase, the meetup, ensures that a company's goals and overarching vision are in harmony with the future design efforts of The Creative Momentum's entire staff. The second and third phases are all about making sure that milestones are being reached and surmounted. This entails finding the right metrics to measure your marketing goals all along the way. Extensive testing is done prior to final launch.